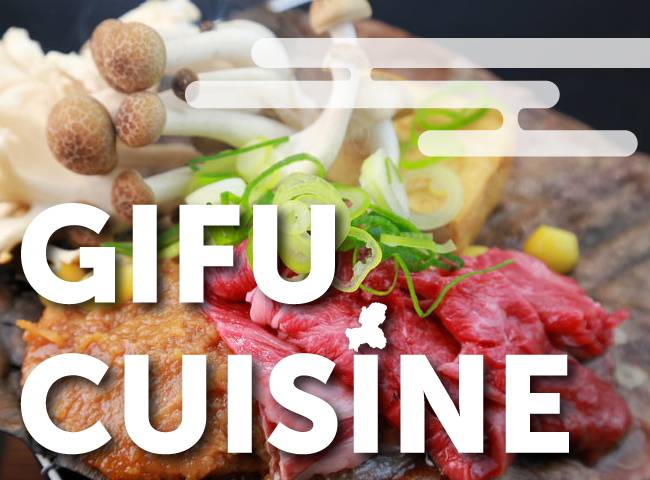 Much of Japanese art, culture, and cuisine draws on the principles of aesthetic beauty and the passing of the seasons. 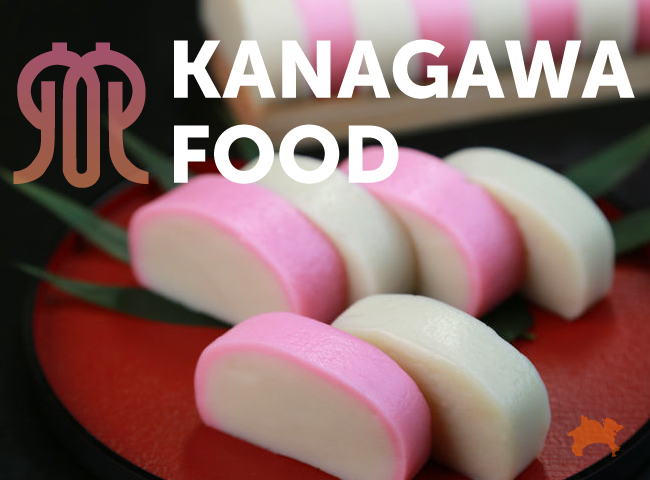 Traditional Japanese sweets, known as “wagashi”, are also made with these principles in mind. Wagashi originated as small morsels for the Japanese imperial family and nobility to enjoy with a cup of bitter matcha green tea. Over time, the treats evolved into a variety of intricately crafted works of edible art. 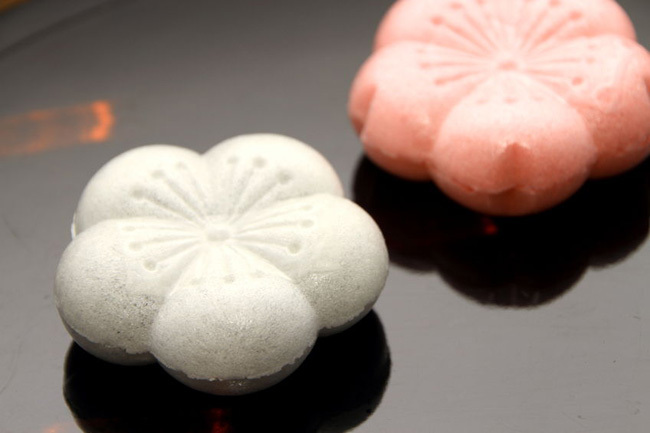 Wagashi are often fashioned into shapes from nature, such as flowers, fruit and leaves, and include seasonal ingredients, such as cherry blossom leaves in the springtime and chestnuts in the fall. Although sweet, they generally use less sugar than western desserts, giving them a refined flavor that pairs excellently with green tea. 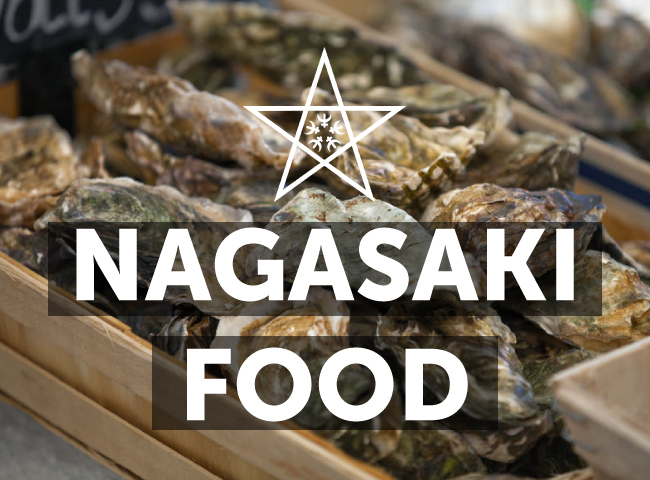 There are many types of wagashi, read on to discover what these are—much deliciousness awaits! 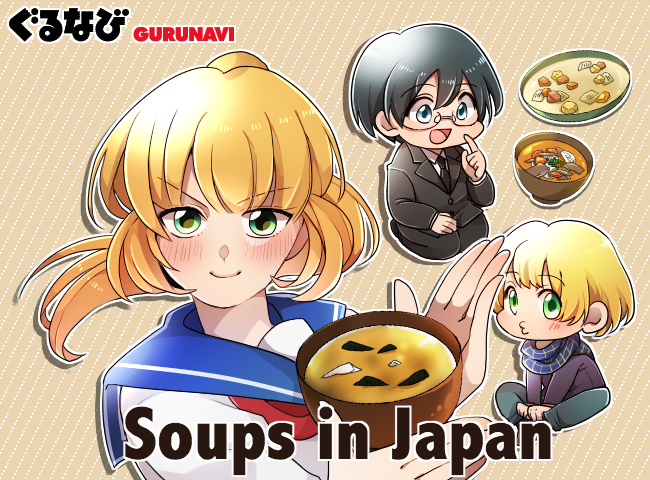 Dorayaki is a favorite traditional Japanese sweet for people of all ages in Japan, from small children to the elderly, and it’s even the prefered snack of the beloved animated character Doraemon. 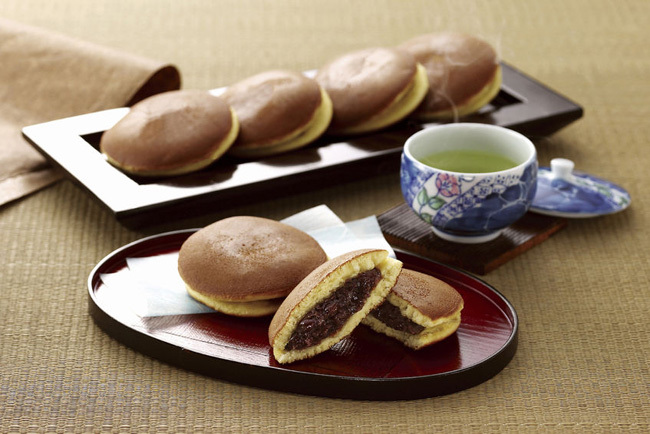 This dessert consists of two small pancakes filled with sweet azuki red bean paste. The name comes from its shape, which resembles a “dora”, or Japanese gong, and was created by a Tokyo dessert maker in the early 1900s. Mochi is a type of Japanese wagashi made from sticky rice that can be served either savory or sweet. 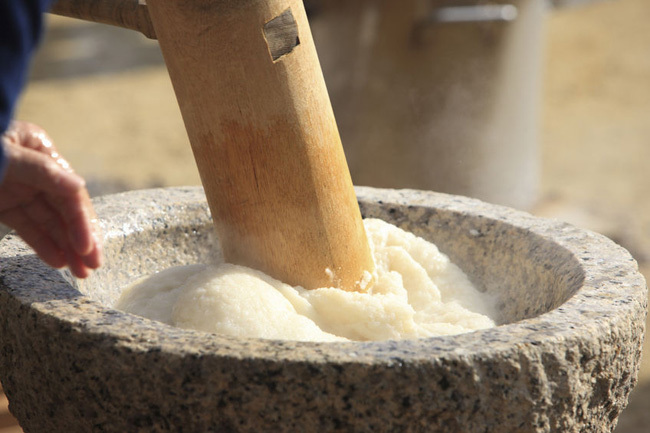 Glutinous rice is pounded with a heavy mallet until it becomes a paste, and is then combined with other ingredients and molded into a desired shape. 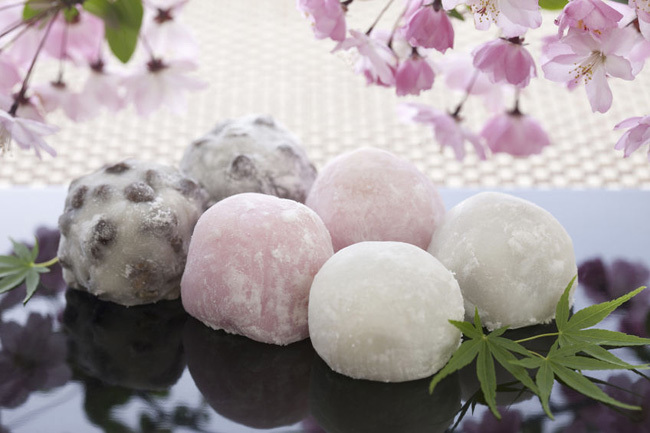 Mochi comes in a range of varieties, such as daifuku, a rice cake filled with red bean paste; sakura mochi, a rice cake wrapped in a salted cherry blossom leaf; and kusamochi, a rice cake flavored with Japanese mugwort. Mochi is often eaten on special occasions, and has been a part of the Japanese New Year’s festivities since as early as the Heian period. 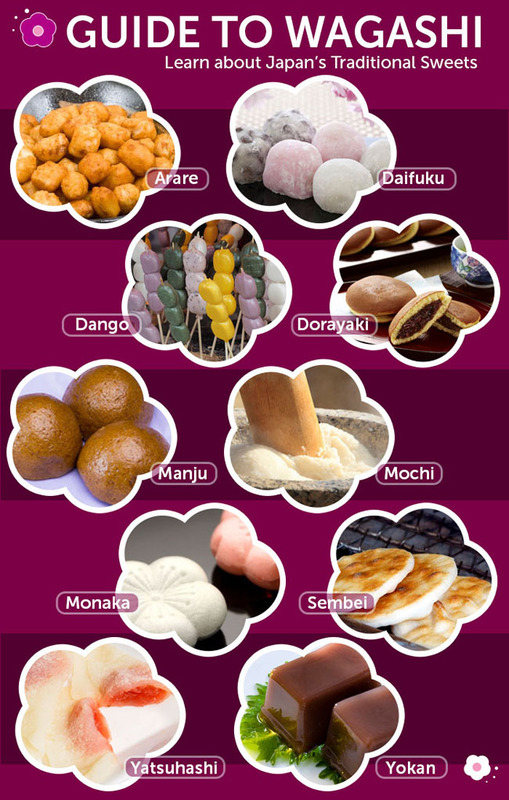 While mochi is made from rice that has been pounded into a paste, dango are small dumplings made from sweet rice flour, and have a slightly chewier texture. 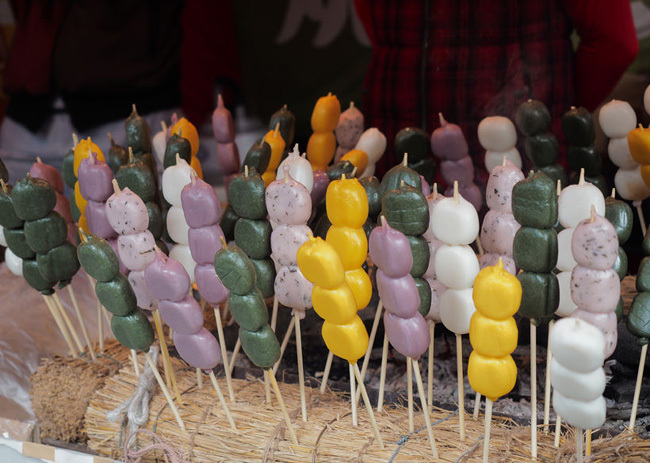 To make this type of Japanese wagashi, rice flour is mixed with hot water to form a dough and then shaped into dumplings, which are boiled, skewered, and grilled. Sesame seeds are a common addition to the rice flour, to produce the nuttier-tasting “goma-dango”. Dango are irresistible as-is, or drizzled in thick and sweet soy sauce. Monaka are traditional Japanese sweets consisting of two crisp and airy wafers made from sticky rice that are sandwiched around sweetened red bean paste. The wafers are typically crafted into the shape of a flower such as the cherry blossom, chrysanthemum, or plum blossom. In addition to anko, sweetened adzuki red bean paste, the filling can also be a paste made from seasonal fruits or sweetened chestnuts. Manju are Japanese wagashi pastry cakes of steamed dough filled with sweet bean paste. The manju are formed into various shapes before baking or steaming, from perfectly round cakes to pointed chestnuts. Some of the more creative shapes include maple leaves and even small rabbits. Daifuku are a type of small cake made with a piece of soft mochi wrapped around sweetened bean paste, or mixed with whole beans, and are usually colored in white, pink, or green. The filling may be either anko red bean paste or shiro-an, a white bean paste, and may also include a piece of fruit. 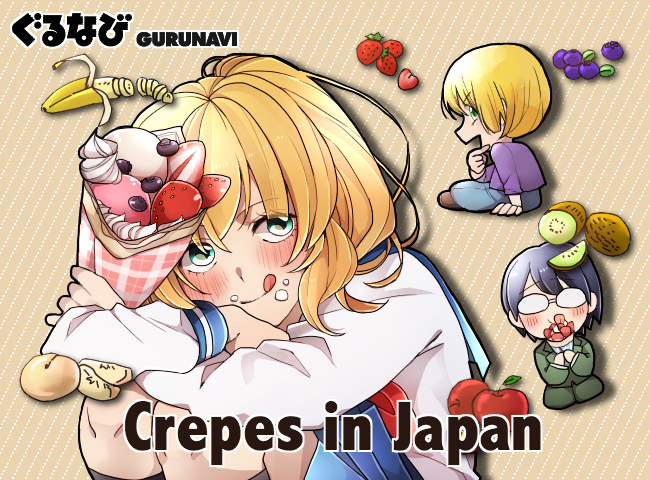 A popular daifuku variety is ichigo daifuku, made with red bean paste and a whole juicy strawberry. Daifuku cakes are often dusted with katakuriko starch to prevent them from sticking. 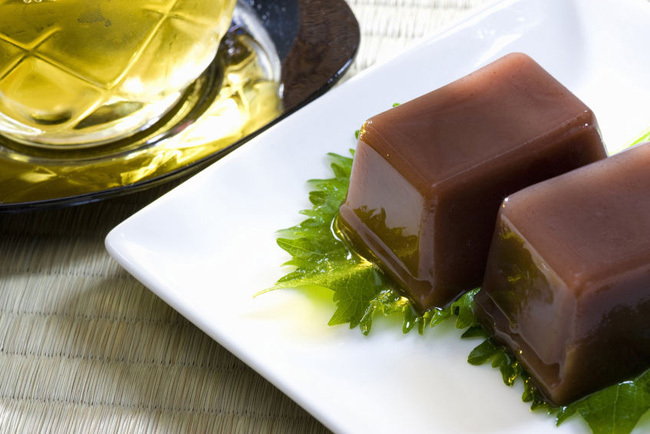 Yokan are a traditional jellied confectionery of red or white beans, sugar and agar agar (a type of gelatin derived from seaweed), mixed together then molded into a block shape to set. 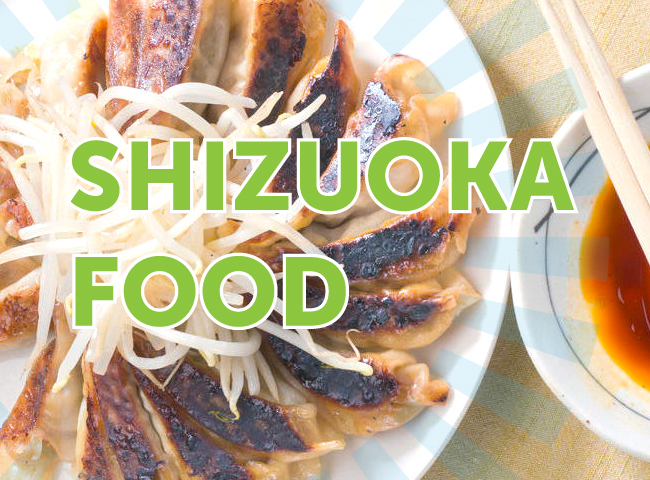 Azuki red bean is the most common flavor, but white beans may also be used, especially for making yokan flavored with green tea. Chopped seasonal ingredients such as chestnut and sweet potato may also be mixed into this type of Japanese wagashi. 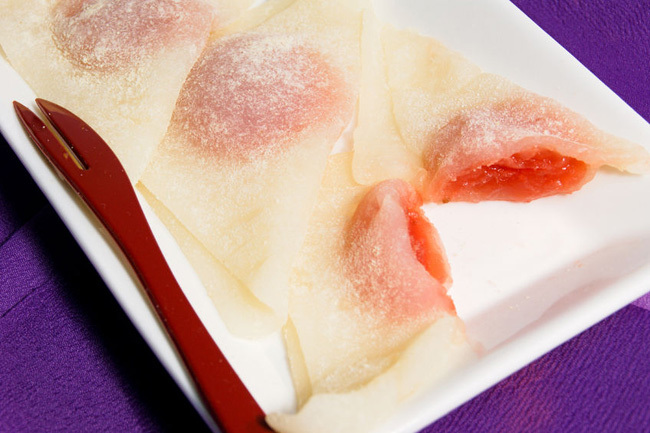 Another variety of yokan called “mizu yokan”, which are made with a higher water content, and have a softer, more jelly-like texture. Senbei and arare are two types of cracker snacks made from rice toasted over a flame. Freshly roasted, they have a wonderful aroma and crisp texture. Unlike many other types of wagashi, senbei and arare are made from non-glutinous rice rather than the sticky rice used for mochi. Senbei are palm-sized crackers toasted over a charcoal flame and may be flavored with soy sauce, sesame seeds, sugar and nori seaweed. 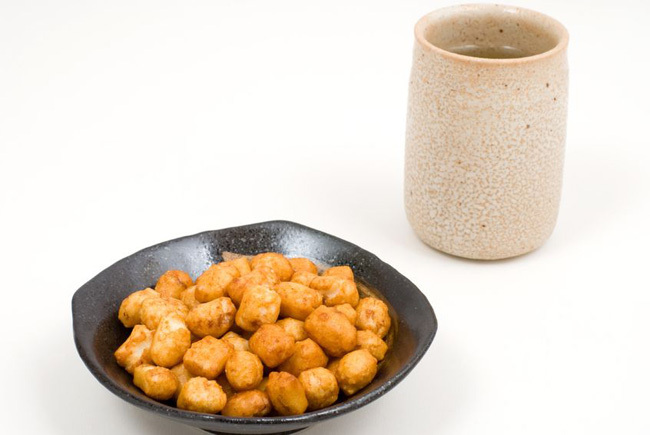 Arare are bite-sized pieces of senbei crackers, often mixed together with other ingredients such as peanuts and wasabi-flavored peas. Yatsuhashi are a traditional treat from the Kyoto area that are sold both as a toasted cracker and as a soft confectionery. Yatsuhashi crackers are made with rice dough that’s pounded into a thin crepe, toasted on a hot plate, and dusted with cinnamon and sugar. 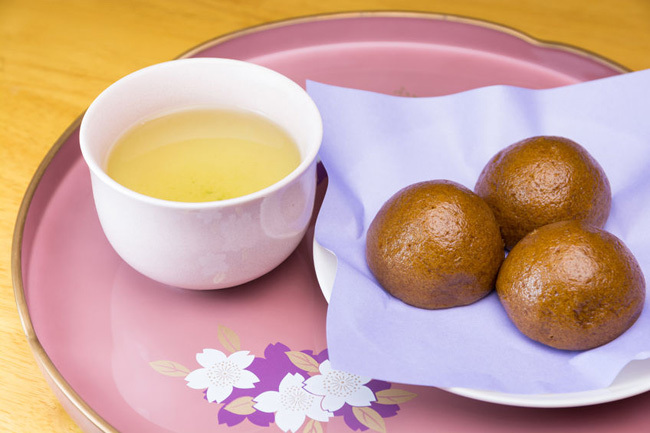 Soft yatsuhashi, called “nama yatsuhashi”, is made from rice flour dough flavored with cinnamon, green tea, or sesame and folded around a chunk of sweetened red bean paste. Nama yatsuhashi has a unique triangle shape and a doughy texture that many people love. 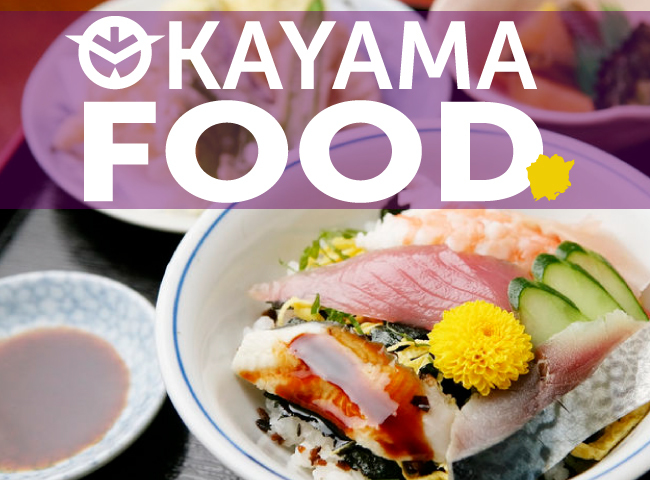 Japan is home to a wide range of traditional confectioneries that are just as enjoyable to look at as to eat. Savor their delicately crafted shapes and gentle sweetness as you contemplate the passing seasons. And don’t forget a cup of green tea!